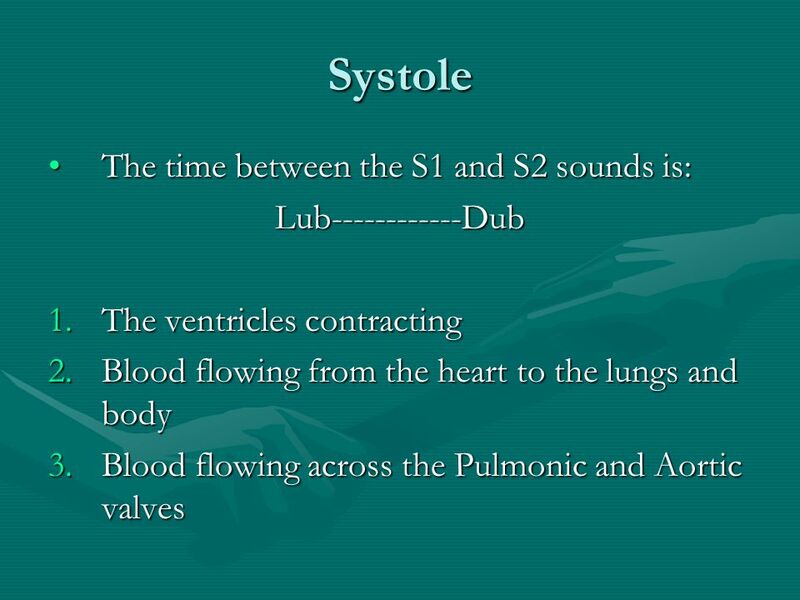 The time between S2 and S1 is : The blood is flowing from the atria to the ventricles. 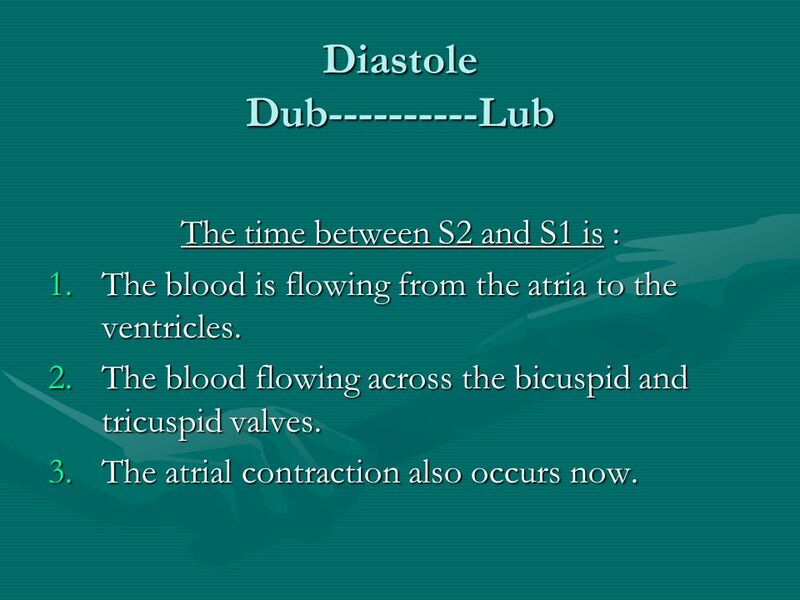 The blood flowing across the bicuspid and tricuspid valves. 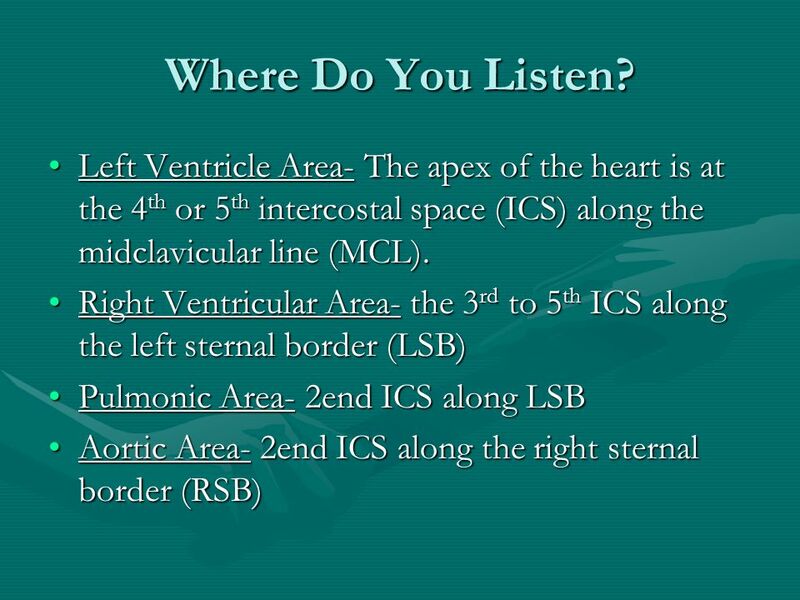 The atrial contraction also occurs now. 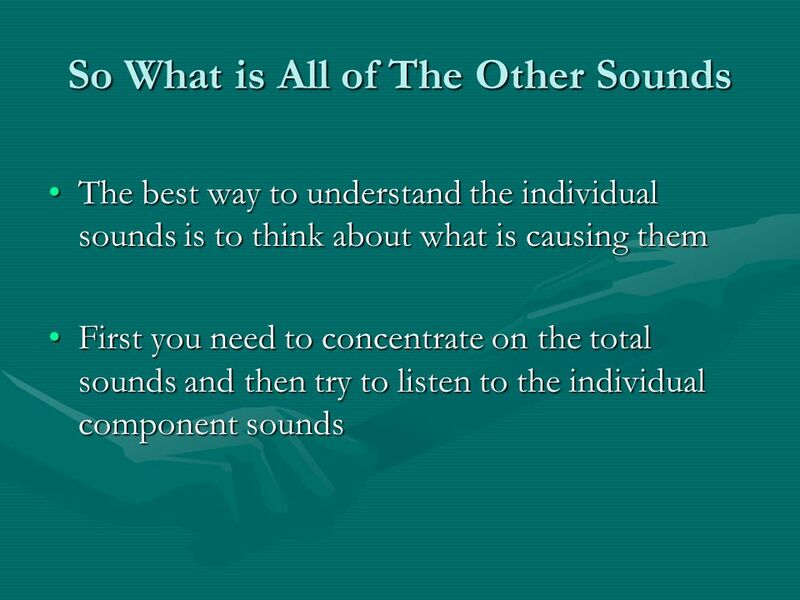 6 S1- What is it ? 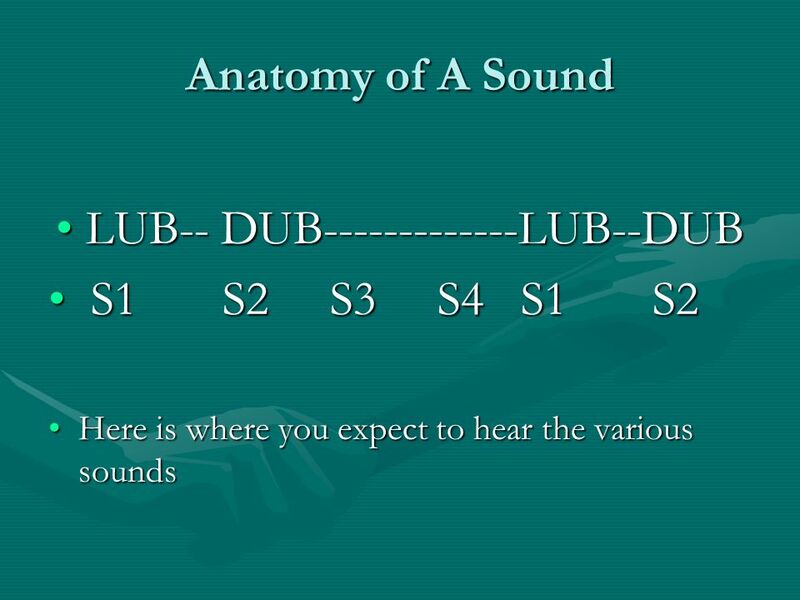 The “lub” in the lub – dub. 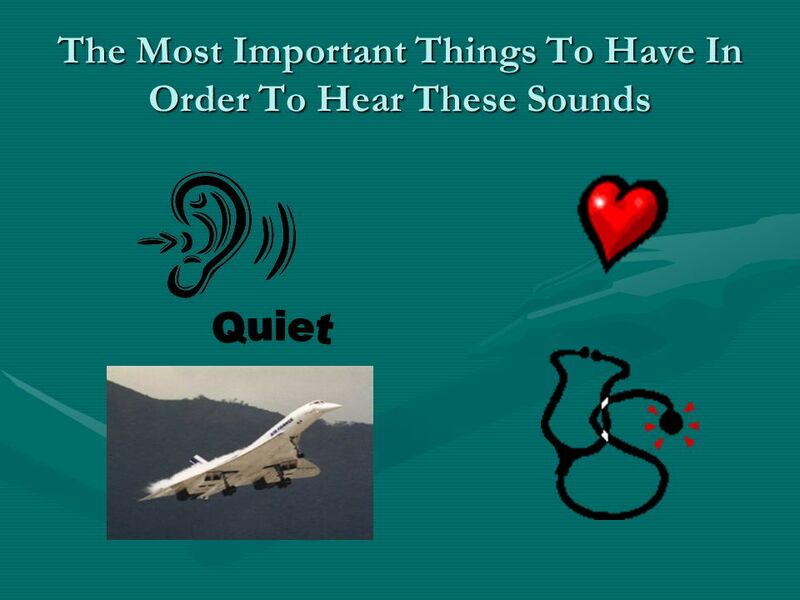 8 What Kinds of Sounds Do You Hear? 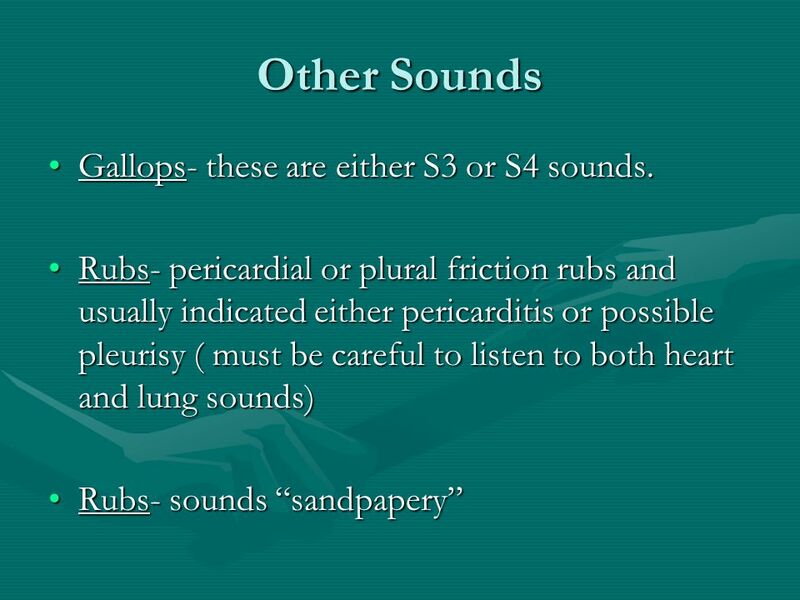 9 Other Sounds Gallops- these are either S3 or S4 sounds. 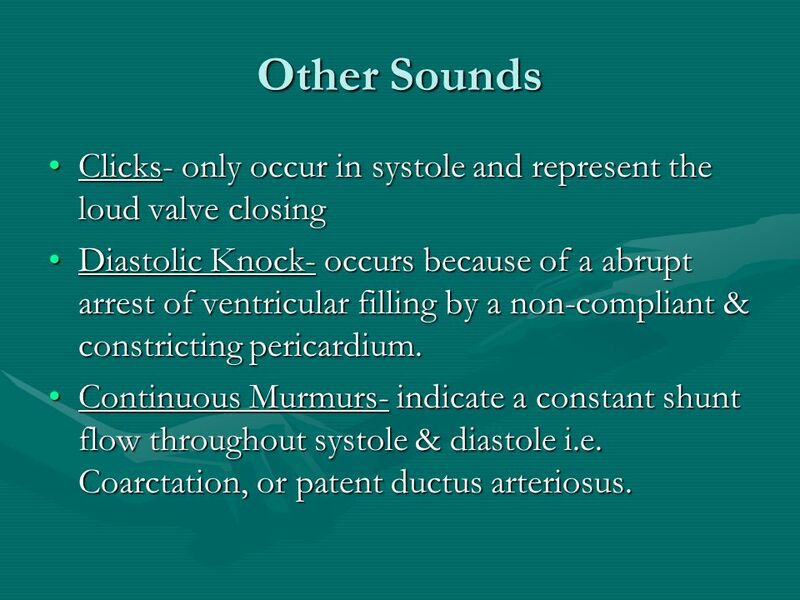 10 Other Sounds Clicks- only occur in systole and represent the loud valve closing Diastolic Knock- occurs because of a abrupt arrest of ventricular filling by a non-compliant & constricting pericardium. 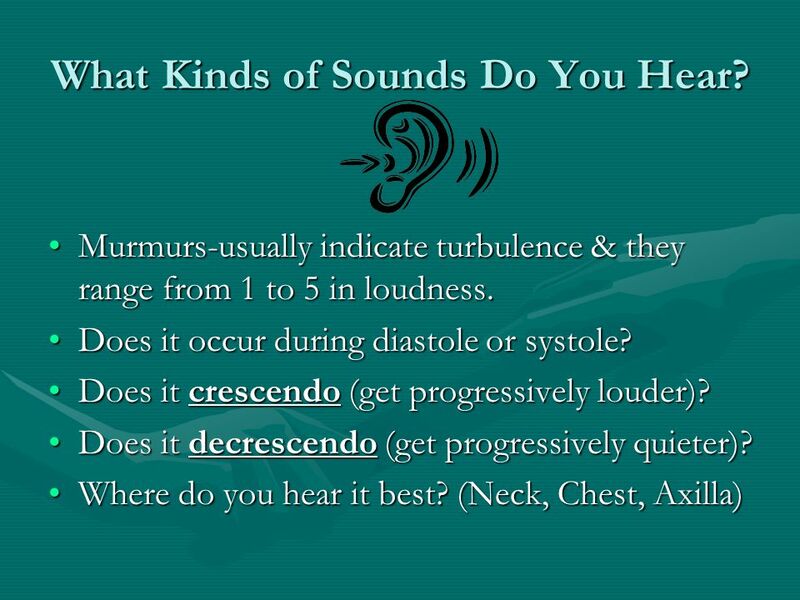 Continuous Murmurs- indicate a constant shunt flow throughout systole & diastole i.e. 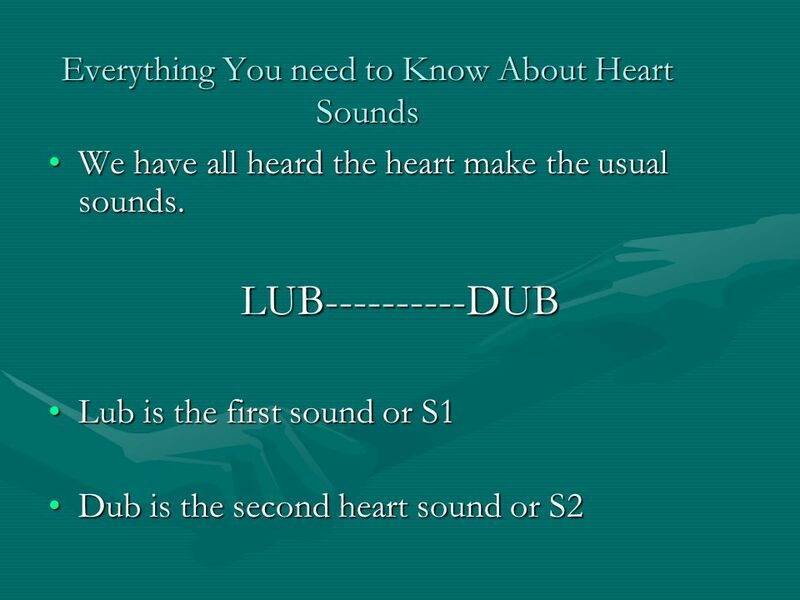 Coarctation, or patent ductus arteriosus. 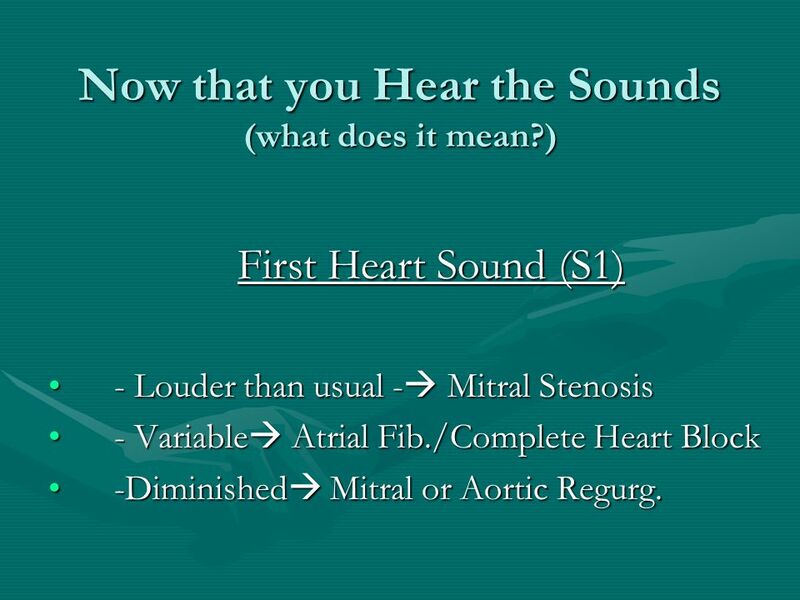 First Heart Sound (S1) - Louder than usual - Mitral Stenosis - Variable Atrial Fib./Complete Heart Block -Diminished Mitral or Aortic Regurg. 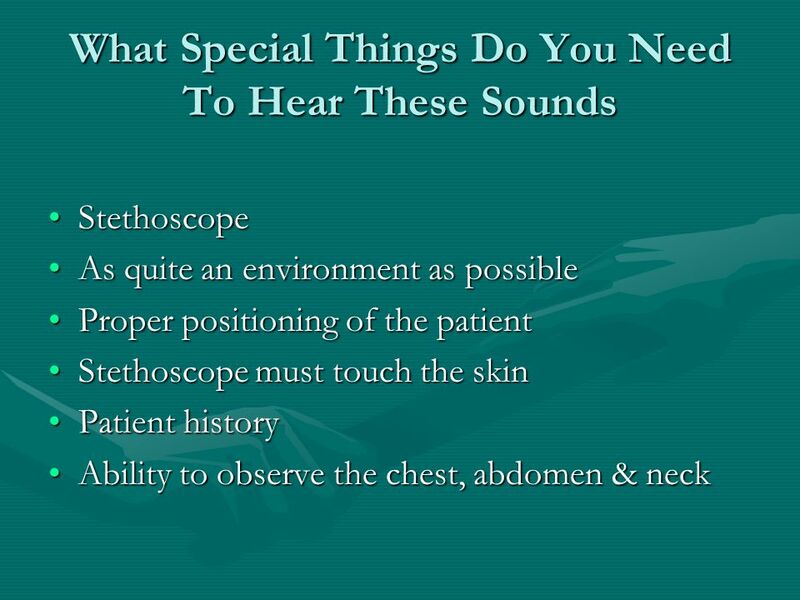 17 Stethoscope Use The diaphragm of your stethoscope is most useful for picking up high-pitched sounds i.e. 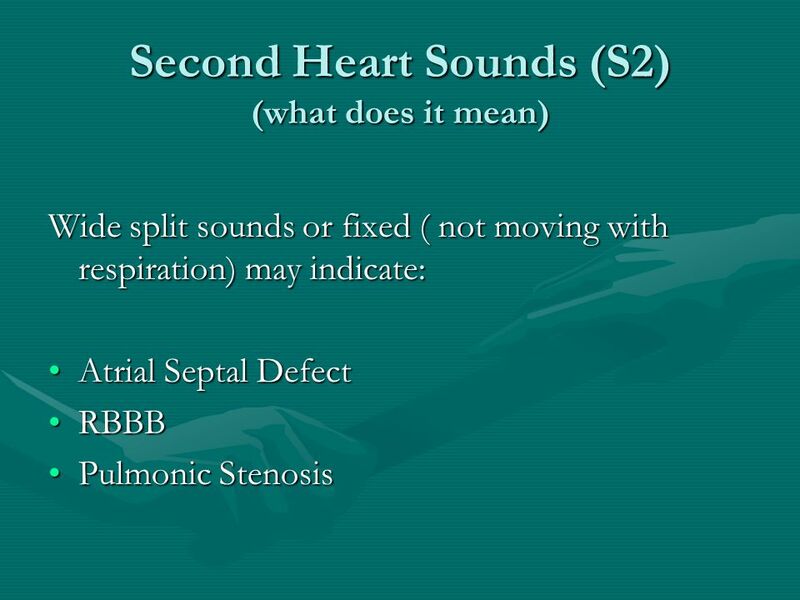 S1, S2, Aortic or Mitral Regurgitation Murmurs or Friction Rubs. 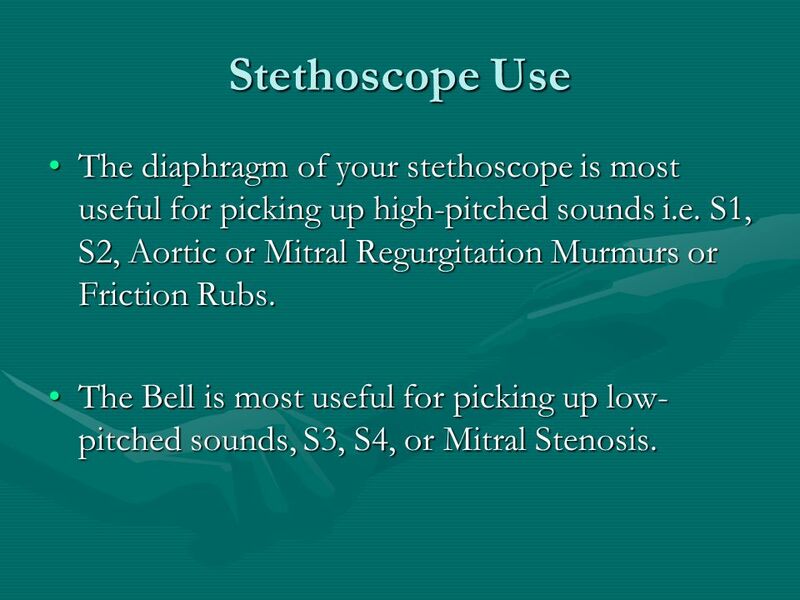 The Bell is most useful for picking up low-pitched sounds, S3, S4, or Mitral Stenosis. 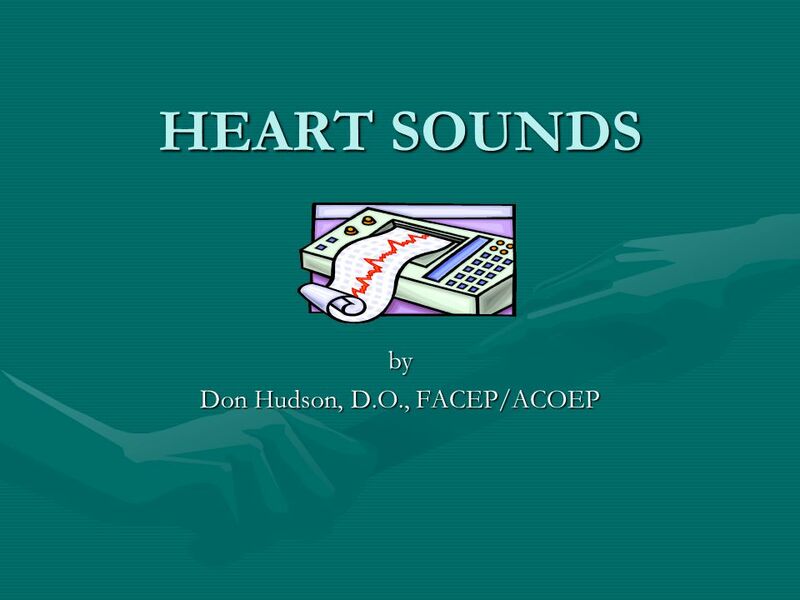 Download ppt "by Don Hudson, D.O., FACEP/ACOEP"
1. 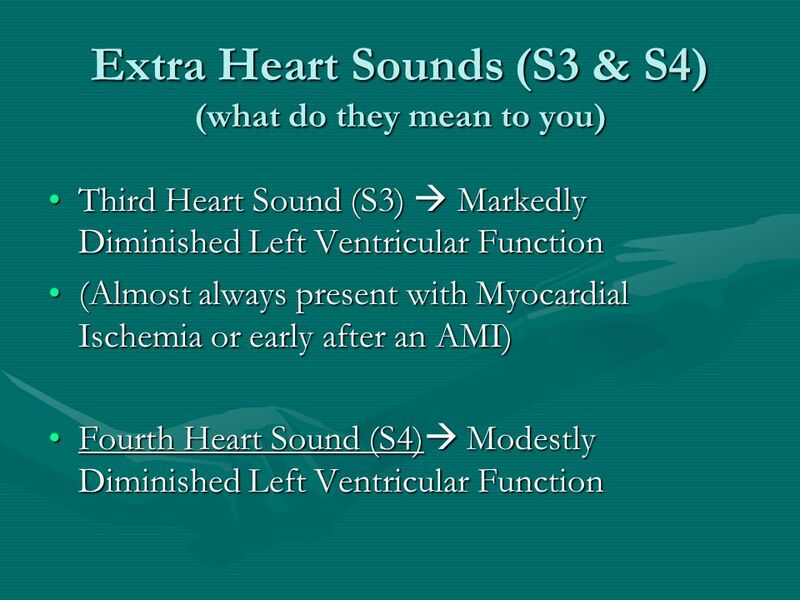 CARDIOVASCULAR SYSTEM CARDIAC CYCLE HEART SOUNDS LECTURE – 4 DR. ZAHOOR ALI SHAIKH 2. 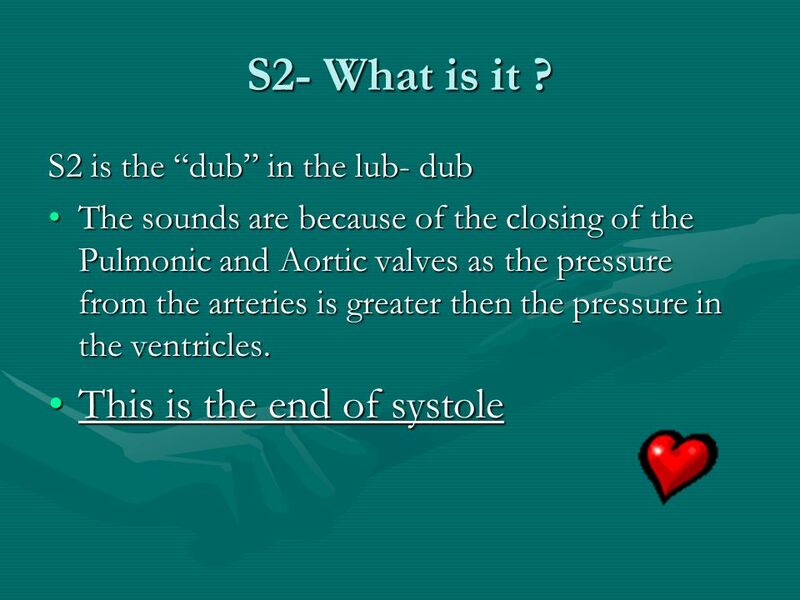 CARDIOLOGY MODULE-2 ND YEAR JOHN N. HAMATY D.O. 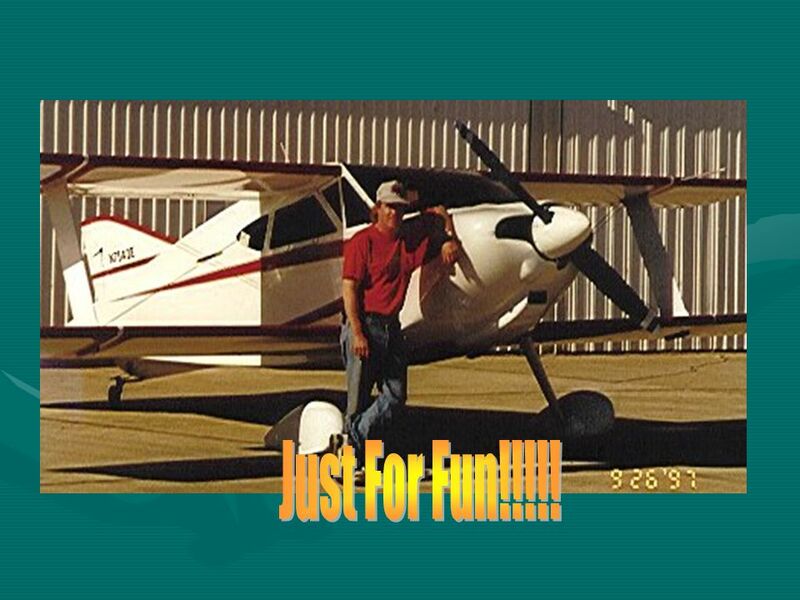 PROGRAM DIRECTOR. 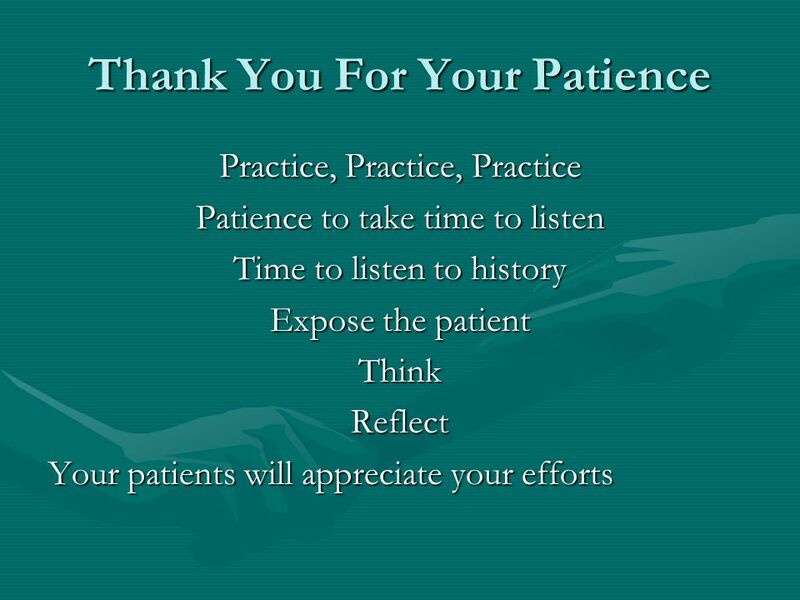 Snap, Rubs, Knocks, & Plop Chapter 10 Are G. Talking, MD, FACC Instructor Patricia L. Thomas, MBA, RCIS. 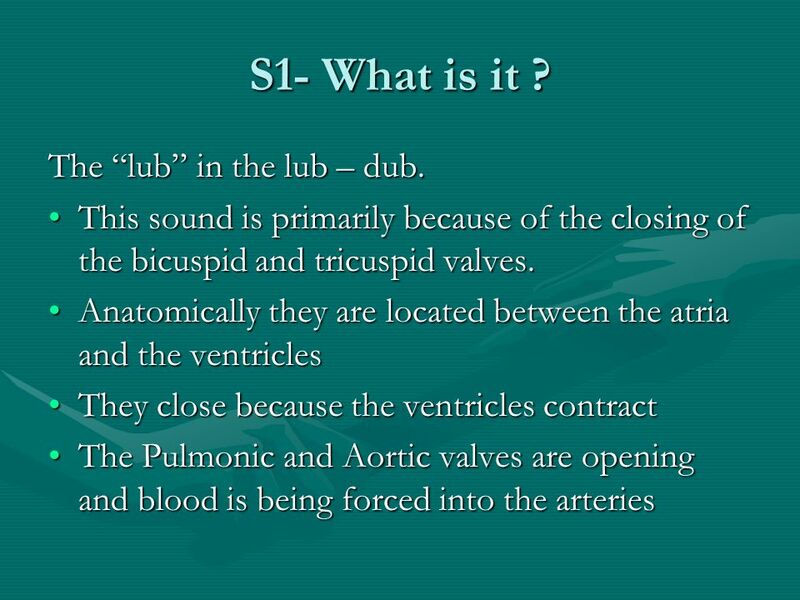 Introduction To The Cardiovascular System Chapter 12: Anatomy and Histology.